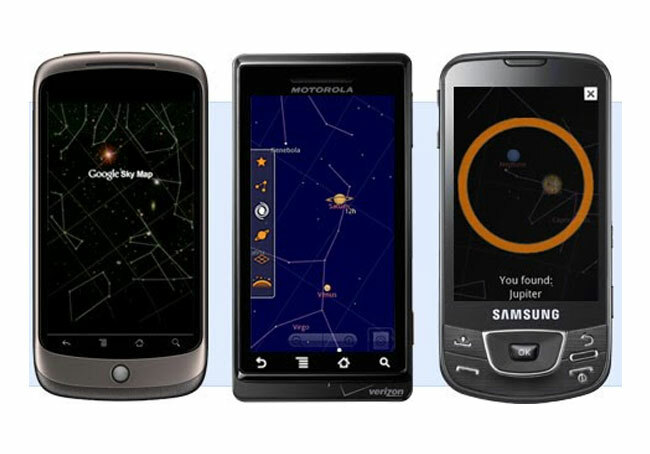 Over the weekend Google has announced that their Google Sky Map which was launched for Android smartphones back in 2009 and was created by a number of Googlers from the Pittsburgh office during their 20% development time. Will now be moving into the community of open source in a partnership with Carnegie Mellon University who will further development Sky Map in a series of student projects. Google’s Sky Map’s development will now be driven by the Carnegie Mellon University students, with Google engineers remaining closely involved as advisors. In addition Google has also open-sourced the app so that other astronomy enthusiasts can take the code and augment it as they wish. The Google Sky Map application is great for anyone wishing to learn more about the night sky. Simply install the application from the Android Market and point your phone at the sky. Google Sky Map will show the stars, planets, constellations, and more to help you identify the celestial objects in view. You can also browse the skies in manual mode. Search the night sky for your favourite planet, Messier object, and more by moving your smartphone in the direction of the arrow to find it in the night sky. Enjoy! Star Walk is a similar application available on iOS.